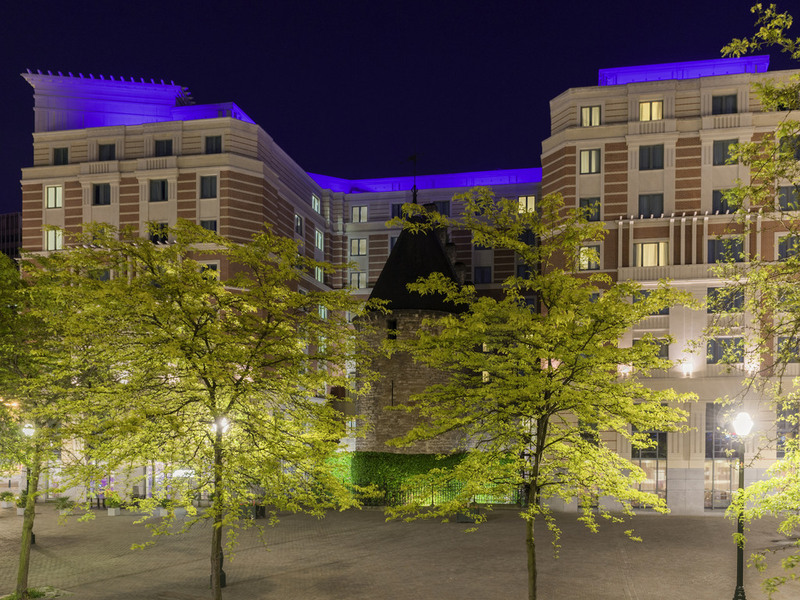 The staff and I would like to welcome you to Novotel Brussels City Centre. The hotel is beautifully located in the Centre of Brussels, which makes it easy to explore the city and end your day with a Burger at our GourmetBar. Superior Room with a double bed. Our menu is as diverse as our city itself, with seasonal suggestions, international classics, regional dishes and special local drinks. Our trendy Bar & Brasserie offers you a wide range of tasty meals and various famous Belgian beers. Also for the children we have special attention. Free WiFi available. My checking experience with a trainee was poor and took much longer than usual. I can usually checkin online but this was not offered. The room was comfortable and quiet. We had a great experience- the rooms were big and clean. Very good bathrooms and the location was very central and convenient for us. Very friendly staff. FRIENDLY WELCOMING, VERY HELPFUL AND FRIENDLY STAFF, THE LOCATION OF THE HOTEL PERFECT, VERY EASILY ACCESSIBLE, CLOSE TO METRO STATION 3' and BRUSSELS CENTRAL 8' WALKING, CLOSE TO GRAND PLACE 10' WALKING.CLOSE TO SHOPS AND RESTAURANTS. COMFORTABLE ROOM, CLEAN. THE BREAKFAST WAS EXCELLENT. I WOULD DEFINITELY RECOMMEND IT. The room was spacious and bright, the staff was very friendly and the breakfast versatile and tasty. While the hotel and room conditions were satisfactory, I specifically added a comment to my online booking explaining that I paid for the reservation using a virtual card system (MBWay/MBNet) that is commonly used in Portugal and never gave me any problems in any hotel in Portugal affiliated with Accorhotels. Suddenly, in this hotel, the same payment method is apparently unacceptable and we have to pay again for the same reservation using a different card. A refund was supposedly sent, but I have not received it yet and may never receive it anymore because just this week, my physical card was lost and had to be cancelled, which, while not the hotel's fault, just adds to the frustration. If this Portuguese payment system was a problem, I expected it to be communicated to me as soon as the booking went through with my message, but I never received any message in advance informing me of this incompatibility and allowing us to plan ahead. Therefore, the check-in process was disappointing. I assumed that Accorhotels held the same standards of service across the group, but if what applies to a number of hotels doesn't apply to others, that needs to be made clear well in advance and it wasn't. At the very least, special comments upon booking should not be automatically ignored. Good reception service, very slow service in restaurant as it was full and the staff was extremly busy. Great experience mostly thanks to the free room upgrade. Spa was great, breakfast was great, hosts were great, huge and clean room. Too bad there wasn't a bathtub as the room was big enough. Room was painted in dull colours, had a terrible view towards a big hole outside and a constant noise during the day. Definitely not worthing 175 EUR/night. Invoiced 35 EUR for a borrowed item returned before check-out. The so called Spa consist of a tiny swimming pool and two smelly &quot;hammams&quot;, nothing resembling actually the real hammam. Great place to stay in central Brussels! Staff very friendly and helpful, room clean and relaxing. Location - couldn't be better for central (old town / t.) Brussels! Breakfast and other food all very good, although breakfast cost was a little high. I always feel welcome at this hotel and it gives me a good base from busy working days. Unfortunately, I did not experience the breakfast. Very good standard; clean and friendly service! Friendly and competent reception staff. room good. The refugees and homeless people in Brussels are a big problem. I suggest the hotel to take action towards the city to solve the devastating situation of the people on the street. Comfortable stay with a good breakfast. I have stayed at the hotel several times. It's generally comfortable, well-located for the metro and restaurants and has good facilities including tea/coffee making in the room. The air conditioning was a little noisy during my last stay but otherwise everything was good - bed, bathroom, breakfast, etc.